And so we find ourselves at another Wednesday. To help you get over that mid-week hump, here are five posts from around the blogosphere to satisfy your hunger for good food and good content. We start off with Raul Pacheco-Vega. He recently paid a visit to Sal y Limon, an authentic Mexican restaurant in East Vancouver. I’ll definitely have to pay them a visit and see how it compares to a place like Dona Cata. You’ve got to love the salsa bar! What if you don’t want to go out and you’d rather cook for yourself? Jennie Yuen shares a recipe for beef brisket tacos from Jonathan Waxman, a Top Chef contestant. The recipe seems reasonably simple to follow, but you may have some trouble finding fresh jicama depending on where you are. When it comes to the best sushi this planet has to offer, there are few places that rival Tsukiji Fish Market in Tokyo. Melody Fury went to the Daiwa Sushi Restaurant in the famed fish market and enjoyed some unbelievable uni, terrific toro, and sensational saba. I wonder how this compares to Jiro. Buzz Bishop is counting down the days until he can gorge himself on the new midway food at the Calgary Stampede. They’ve got everything from cotton candy cupcakes to deep fried Kool-Aid. I’ve been to the Calgary Stampede twice, but I’ve never seen deep fried Kool-Aid. You need money to indulge in these delectable delights, so we turn to Thursday Bram who reminds us why custom samples are bad for business. 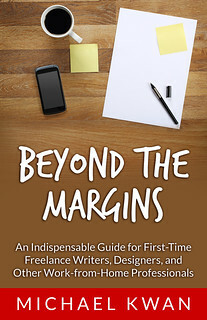 In her own words, “Writing a free post for every prospective client who asked would lead me to double my prices.” Writing for free devalues your craft too. NextGrammar 101: Can They Be Singular? Food, food, food…. Jr. Pho this week to see what it’s like.